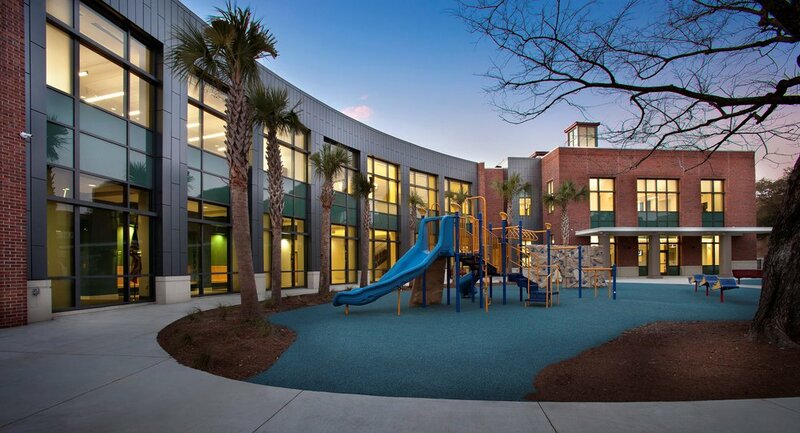 In response to seismic evaluations of several downtown schools, Charleston County School District approved work for the demolition and replacement of Memminger Elementary School. Phased construction included the demolition of the existing school prior to the start of new construction. Construction of the new building consisted of an approximate 75,000 square foot elementary school to accommodate 450 students. The new state of the art facility contains classroom spaces for Grades Pre-K through 5th Grade, a Media Center, Cafeteria, Multipurpose, Computer Labs and other support spaces for the Memminger Elementary staff and students. 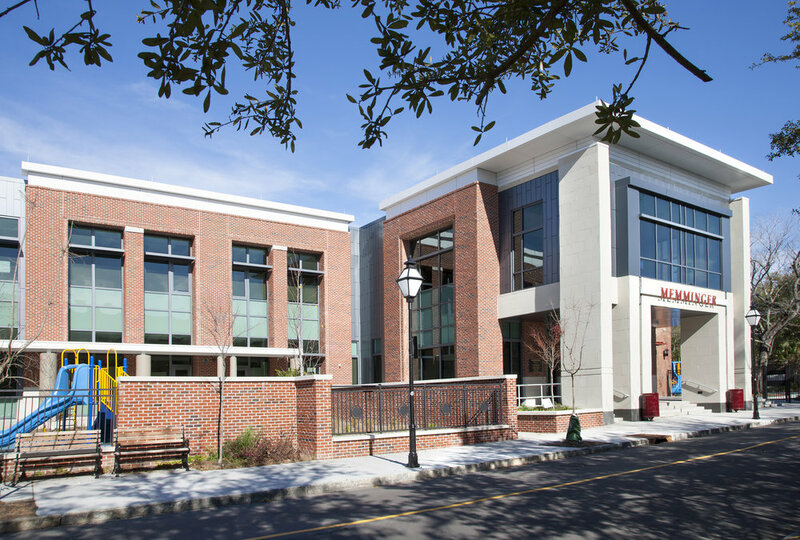 The design for the facility also included features to showcase the school’s Global Studies Curriculum while retaining an architectural balance with the adjacent Memminger Auditorium.